When we found out we were having twins, panic set in. We didn't know how to take care of one baby, how were we going to take care of two babies? Plus, how were we going to afford caring for two babies? We had so many questions in the first few weeks of being pregnant. As my belly got bigger, we figured out answers to some of our questions. A big question was, what is the best diaper solution for twins? When we were trying to get pregnant, I was all for cloth diapering. I read my fair share of mommy blogs and knew it was something I had wanted to try. How hard could it be? You get a bunch of inserts, the cutest covers for those inserts and you wash said inserts almost daily. Also time consuming. Fast forward to finding out I was pregnant with twins and my thoughts on cloth diapering changed. 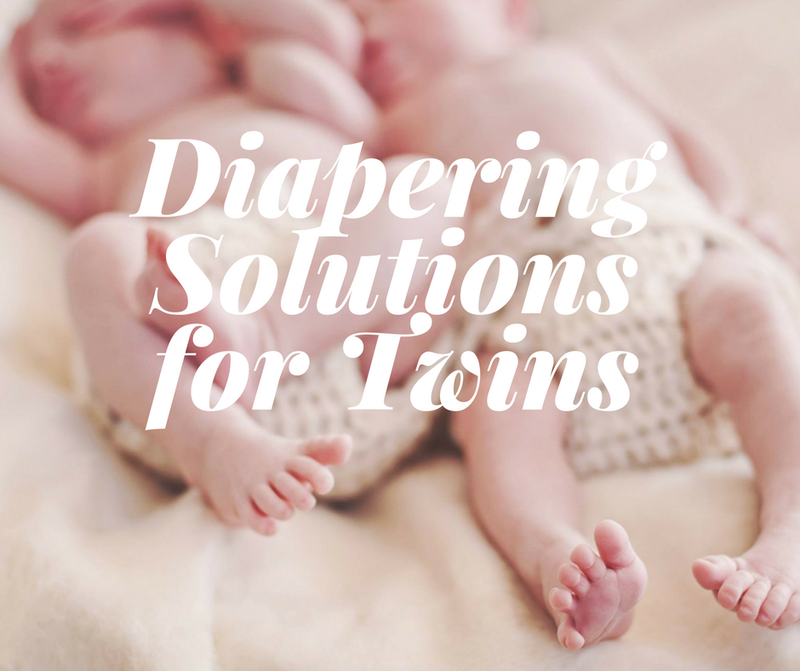 When you are choosing the right diapering solution for twins, you need to think about your budget, convenience and what your caregiver (daycare, babysistter, nanny, grandparent, etc.) will allow. This is a huge deal when you are having twins. When my twins were first born, they were in the NICU for a month. They got a diaper change every three hours and even more if they had a BM. That is a minimum of 8 diapers per baby per day. So let's say that they went through 10 diapers each per day (on average). 20 diapers x 30 days (average) = 600 diapers per month. The average large box of diapers contains 200 diapers, so that means we needed three of these boxes per month. On average, we were spending $125 a month on diapers alone. That is a lot of money. But you can also choose the cloth diaper route. But remember, you will need at least 8 inserts per baby per day and a few to spare. This article states that you should have 2 to 3 dozen inserts per baby if you want to do laundry every third day. It also states that the cost over three years is $800 to $1,100 (per baby) if you purchase and launder the diapers yourself. The more budget friendly item is the cloth diapers. If you do choose disposable diapers, you can sign up for services with companies like diapers .com where they will send you diapers every month at a discounted price. They are subscription services and you can change the size and quantity every month if you need too. You can also go to your favorite diaper's website and search for coupons to save a little extra per box. This article gives 8 amazing tips for saving money on diapers. I use their tips all the time. When you have a baby or two or three, you want to get them changed fast and efficiently. The thought of taking off the diaper, taking out the insert, putting a new one in or a whole set up on again, then cleaning the poop off the insert before putting it in a bin to be washed later seemed daunting to me. Especially when you add a second baby in. Even though the NICU used disposable diapers, I had considered using cloth diapers until I saw how easy it is to quickly change the diaper, wrap it up tightly and move onto the next baby. Once both babies were changed, I popped the diapers into the bin and I was done. It was extremely quick and easy and less mess to fuss with. Plus it seemed easier to change a disposable diaper on the go and throw it away, then putting it in a wet bag to clean later on. Times two. Everything with twins is times two. Disposable diapers are more convenient than cloth diapers. Given our financial situation, it made sense for me to go back to work. We had newer car payments, a mortgage and a lifestyle that we were accustomed too. This meant seeking out a caregiver for our children once they were 4 months and my maternity leave was up. We found a daycare across the street from our work which many of our co-workers children attended or had attended. They came highly recommended. In their policy, they do not allow cloth diapers. Only disposable diapers. That made our decision extremely easy right there. Unless I was to stay home, we would have to use disposable diapers. So when you consider disposable vs. cloth diapers, you need to see if your caregiver will allow the cloth diapers and their policy with cleaning the diapers, if they do it at all. Also, be prepared to have extra cloth diaper sets for your caregivers home/place of business. Here is a great article on how to approach your caregiver with using cloth diapers on your child. Ultimately, we decided that disposable diapers were the best option for us. Yes, they are more expensive, not as cute, but they are cleaner, more convenient, absorb very well and they are part of our daycare's policy. We are almost two years into disposable diapers and while it has cost us a small fortune, it was the best decision for our family. We currently use Huggies Size 4 diapers for our little ladies. 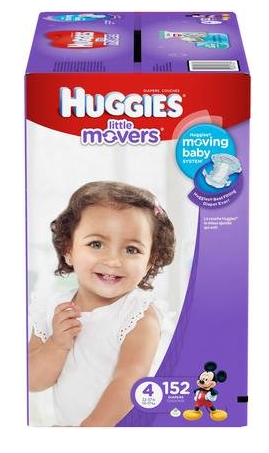 For lots of Huggies products, go to diapers.com. Which diapering solution did you chose for your child(ren)? * This post has been sponsored by Nakturnal. I was interested in cloth diapers, but when I talked to Drew about it he gave a firm no. He was grossed out by it for some reason so that got kicked to the curb really quick. I have friends who do it though and love it. It's all about what's best for your family. Great article! I thought about cloth diapering too, but the idea of washing all those poopy diapers...... And the diaper services in my area are more expensive than just buying disposables so my biggest factors were $ and time. I could barely keep up just washing my pump parts! Definitely something to consider. Diapering services were average here, but disposable are so much easier!!! I could barely keep up with washing my pump parts and 16 bottles a day. So much work! My brother had twins & they had to do the disposable thing too - just easier for day care purposes. different strokes for different folks :) All about the research & what works for you. We have always used disposable diapers, too. I can't imagine going the cloth route... definitely not for me! And I'm sure Brian would have died if I had even suggested it! Haha. 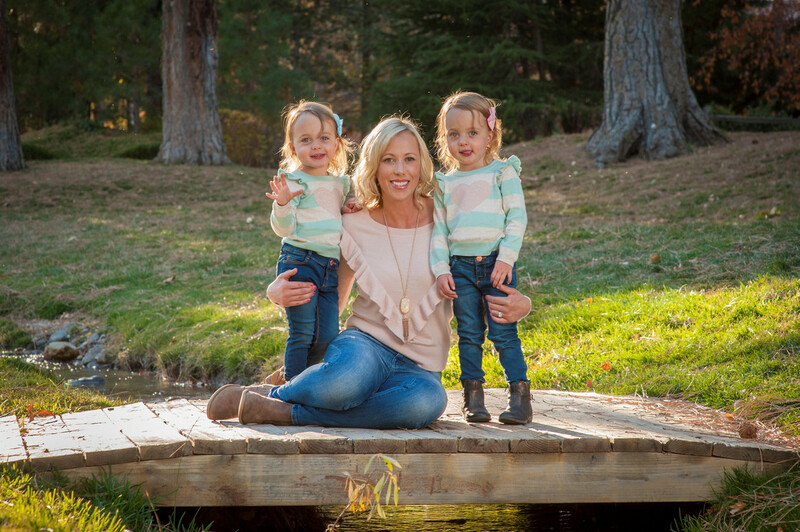 Such a great break down...especially for twin Mommas out there. It is crazy to imagine diapering two babies. You are awesome! I tried cloth diapers but no matter what, my daughter got terrible rashes. I sold them and went to disposables. It's crazy the amount of $ and diapers we go through, but it's just a short time. Great job breaking it all down! I bet with twins it was a little (a lot) crazy! I have some friends who use cloth and some who don't. I think it's important to consider all your options and find the ones that work for you best!